THERESA MAY - Our Prime Minister has said her government is serious about improving the environment after pressure groups gave a lukewarm response to a 25-year green plan, praising its ambition but warning that it lacked sufficient proposals for immediate action. The Climate Change Act 2008 (c 27) is an Act of the Parliament of the United Kingdom. The Act makes it the duty of the Secretary of State to ensure that the net UK carbon account for all six Kyoto greenhouse gases for the year 2050 is at least 80% lower than the 1990 baseline, toward avoiding dangerous climate change. The Act aims to enable the United Kingdom to become a low-carbon economy and gives ministers powers to introduce the measures necessary to achieve a range of greenhouse gas reduction targets. An independent Committee on Climate Change has been created under the Act to provide advice to UK Government on these targets and related policies. In the act Secretary of State refers to the Secretary of State for Energy and Climate Change. The Climate Change Act 2008 (CCA) would mean nothing without a Clean Growth Strategy. An Act to set a target for the year 2050 for the reduction of targeted greenhouse gas emissions; to provide for a system of carbon budgeting; to establish a Committee on Climate Change; to confer powers to establish trading schemes for the purpose of limiting greenhouse gas emissions or encouraging activities that reduce such emissions or remove greenhouse gas from the atmosphere; to make provision about adaptation to climate change; to confer powers to make schemes for providing financial incentives to produce less domestic waste and to recycle more of what is produced; to make provision about the collection of household waste; to confer powers to make provision about charging for single use carrier bags; to amend the provisions of the Energy Act 2004 about renewable transport fuel obligations; to make provision about carbon emissions reduction targets; to make other provision about climate change; and for connected purposes. (1) It is the duty of the Secretary of State to ensure that the net UK carbon account for the year 2050 is at least 80% lower than the 1990 baseline. (b) net UK emissions of each of the other targeted greenhouse gases for the year that is the base year for that gas. The Government’s Clean Growth Strategy, required under the Climate Change Act, sets out the next steps to reduce the UK’s greenhouse gas emissions and tackle climate change. Although ambitious, the Strategy does not go far enough. Urgent action is needed to flesh out current plans and proposals, and supplement them with additional measures, to meet the UK’s legally-binding carbon targets in the 2020s and 2030s, the Committee on Climate Change says. The UK has made good progress in reducing its greenhouse gas emissions since the Climate Change Act was passed in 2008, nearly ten years ago. Emissions fell by 42% from 1990 to 2016 – faster than the average rate of reduction in the G7. The Clean Growth Strategy commits to delivering further action towards meeting the fourth (2023-27) and fifth (2028-32) carbon budgets, on the path to reducing UK emissions by at least 80% in 2050 compared to 1990 levels. The Strategy also reaffirms the UK’s desire to remain at the forefront of tackling climate change globally. This makes it all the more important for UK carbon budgets to be met through actions to reduce emissions domestically, the basis on which they were originally set. However, significant gaps still remain. Even if delivered in full, existing and new policies, including those set out in the Clean Growth Strategy, miss the fourth and fifth carbon budgets by around 10-65 MtCO2e – a significant margin. Urgently firm up policies and proposals in the Clean Growth Strategy. More detail is needed about plans to phase out sales of petrol and diesel cars and vans by 2040; increase the energy efficiency of our homes by 2035; improve the energy efficiency standards of new buildings; phase out installation of the most polluting fossil fuel heating in homes and businesses off the gas grid; generate 85% of the UK’s electricity from low-carbon sources by 2032; improve the energy efficiency of UK businesses and industry by 2030; and deploy carbon capture and storage technology at scale in the UK in the 2030s. All of these policies, amongst other actions, will have to be delivered in full and on time in order to realise the required emissions savings. Develop and implement new policies to close the remaining ‘emissions gap’ to the fourth and fifth carbon budgets. There is a particular risk around meeting the fourth carbon budget which begins in just five years’ time. Urgent domestic measures are required and could include: greater near-term improvements in the energy efficiency of UK buildings (especially in able-to-pay households); steps to ensure a larger proportion of heating from heat networks comes from low-carbon sources; action to drive greater uptake of ultra-low emission vehicles and improve energy efficiency of conventional vehicles by 2030; an extension of the UK landfill ban to cover other waste including wood and plastics; higher levels of tree planting and actions to reduce emissions from agriculture. Address the risks of under-delivery. Existing and new policies to reduce emissions carry significant delivery risks. The timely completion of Hinkley Point C nuclear power station is one example. Risks that cannot be removed now must be actively managed. This is particularly important in the context of the Paris Agreement, where the UK, along with almost every country in the world, has signed up to a deal that will require increasing efforts to reduce emissions in the future. The publication of the Clean Growth Strategy is not the end of the process. Although the Government has proposed a set of milestones to ensure progress is being made, the Committee recommends supplementing these with additional milestones to ensure the required emissions reductions are delivered in time. The Committee will monitor progress in its annual reports to Parliament. The Clean Growth Strategy was published by the Department for Business, Energy and Industrial Strategy (BEIS) on 12 October 2017. Under the terms of the Climate Change Act 2008, the Secretary of State “must prepare such proposals and policies as the Secretary of State considers will enable the carbon budgets that have been set under this Act to be met”, on track to the 2050 target to reduce the UK’s greenhouse gas emissions by at least 80% compared to 1990 levels. The Clean Growth Strategy sets out the Government’s proposals and policies to meet the fourth (2023-27) and fifth (2028-2032) carbon budgets. The need for ‘domestic’ action: The Climate Change Act 2008 includes mechanisms to provide flexibility (e.g. carrying forward outperformance of one carbon budget to help meet the subsequent one) in the case of unexpected conditions that, despite strong policy action, would otherwise cause the carbon budgets to be missed. They do not exist to enable ambition to be weakened. The fourth and fifth carbon budgets were set on the basis of the cost-effective path for action in the UK on the way to achieving an emissions reduction of at least 80% below 1990 levels by 2050. To ensure the best value for UK taxpayers, businesses and consumers the plan must continue to be to meet the budgets in full, without reliance on accounting ‘flexibilities’ in the Climate Change Act. Use of these mechanisms would risk failing to develop leading low-carbon industries in the UK and storing up larger costs for future generations. Their use would also undermine the UK’s position of leadership and be counter to the commitments made under the Paris Agreement. The Government has been clear in its statements to Parliament that it intends to deliver the carbon budgets through domestic action. This includes actions to cut emissions from electricity generation and heavy industry in the UK, which are currently covered by the EU Emissions Trading System (EU ETS). The Government’s Clean Growth Strategy is based around analysis using BEIS’ 2016 Energy and Emission Projections. The Committee’s assessment for this report is consistent with the Clean Growth Strategy, and is therefore also based around these same projections. These emission projections are of course uncertain and subject to change (e.g. new projections are published annually). New government energy and emission projections were published in January 2018, and these imply a smaller policy gap than previously projected. However, the key points of our analysis, and our recommendations, still stand. Contracts-for-Difference for low-carbon electricity generation). The UK Government should ensure that full account is taken of areas where ambition in the devolved administrations is greater. MtCO2e refers to mega tonnes of carbon dioxide equivalent. It is a metric measure used to compare the emissions from various greenhouse gases based on their global warming potential. COP THAT - The United Nations Climate Change Conferences are yearly conferences held in the framework of the United Nations Framework Convention on Climate Change (UNFCCC). They serve as the formal meeting of the UNFCCC Parties (Conference of the Parties, COP) to assess progress in dealing with climate change, and beginning in the mid-1990s, to negotiate the Kyoto Protocol to establish legally binding obligations for developed countries to reduce their greenhouse gas emissions. 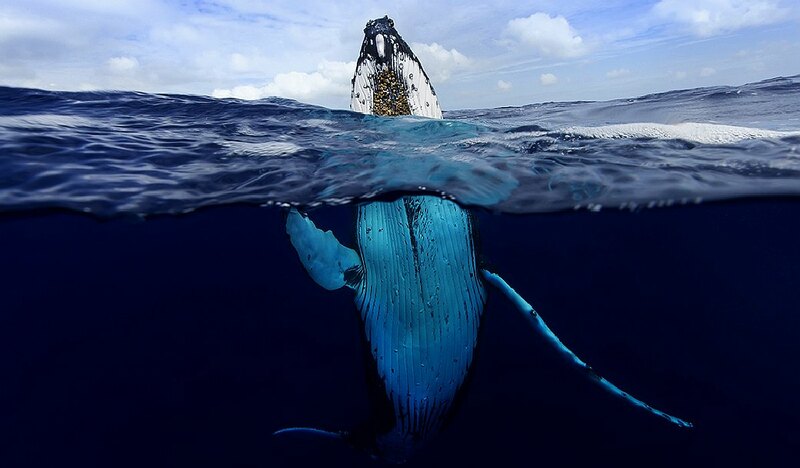 MARINE LIFE - This humpback whale is one example of a magnificent animal that is at the mercy of human activity on planet earth such as climate change. Humans are for the most part unaware of the harm their fast-lane lifestyles are causing. We aim to change that by doing all we can to promote ocean literacy and climate awareness.